Bliss is the name of the default computer wallpaper of Microsoft’s Windows XP operating system. It is an image of a rolling green hill and a blue sky with cumulus and cirrus clouds. 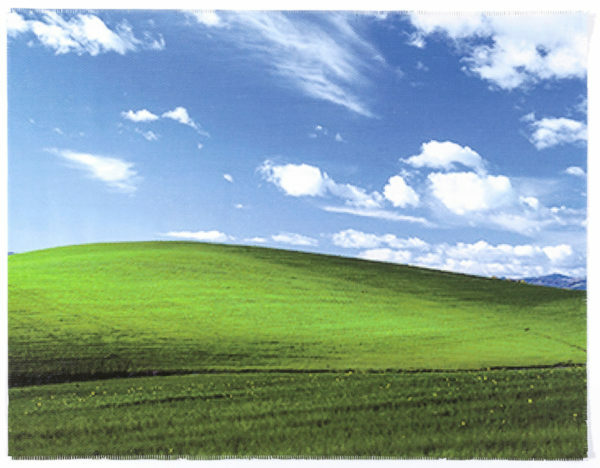 The photographer estimates that the image has been seen on a billion computers worldwide since then, based on the number of copies of XP sold since then. This probably makes it the most viewed picture of all time at this point in human history.